Shinycatz, the magic cats game. 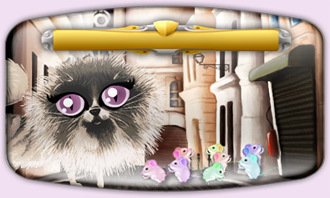 Enter the magical world of the cats: free game! 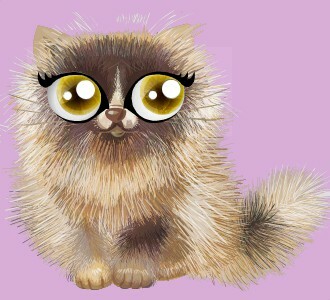 Shinycatz is a free online cat game where you can breed all the cats you love. Discover 101 breeds of cats! wildcat32 starts a new day with kitty. kitty joins the Shinycatz adventure (breeder: wildcat32). wildcat32 welcomes their first cat: kitty. wildcat32 signs up to Shinycatz. Welcome! Prettylittlelairs75 starts a new day with Kiara. Do you love cats? Shinycatz is a free online cat game. Register for free to adopt a kitten: dozens of cat breeds are available. Each breeder must take care of his or her cat, register it for cat shows, feed it (kibble, cat food...), etc. Improve your cat breeding and make your felines confront others from different breeders in this cat game. You can also buy a cat (at a flat price or at auction), take care of abandoned cats and even adopt a cat! To extend your cat breeding, you can organize breeding sessions with the other players' cats. If you think you have too many pets to manage, you can sell or abandon a cat at any time so that another breeder can take care of it. Shinycatz is a free cat breeding game where you can talk to thousands of other people who share your passion for cats, whether it be on the forums or elsewhere. Shinycatz is a free cat breeding game where you can talk to thousands of other people who share your passion for cats, whether it be on the forums or elsewhere. Find a job related to cats! Adoption - Adopt an abandoned cat! Play with the abandoned cats in the game and take them in. This cats has been abandoned! Sign up to become its breeder and look after an abandoned cat.